Junking a car, also known as auto salvaging is not something most people do on a regular basis, unless you’re into buying run down P.O.S. (In this case – Pieces of Scrap). Auto Salvage has been around since the inception of the automobile. Let’s call is car heaven for the sake of explaining it to the kids. Cars, as most things in life have a life cycle and then accidents, improper maintenance, theft and vandalism contribute to speeding up this life cycle. Whatever the cause, we are sometime left with a vehicle that no one in their right mind would buy or we simply have no use for it. When it’s finally time to say goodbye to your old car, call the Auto Recycling Denver to haul away our unwanted car. There are many option to do so. Here’s are a few options: trade it in, trade it up, give it away, and last, but not least, SALVAGE it for cash! That’s right, we said, salvage it and get paid cash! We’ll many people don’t realize that their old beat up car they wouldn’t dare to loan to any one due to the poor condition that it’s in. We are always more than happy to pay you cash for it. How to know when your car is ready to get salvage. 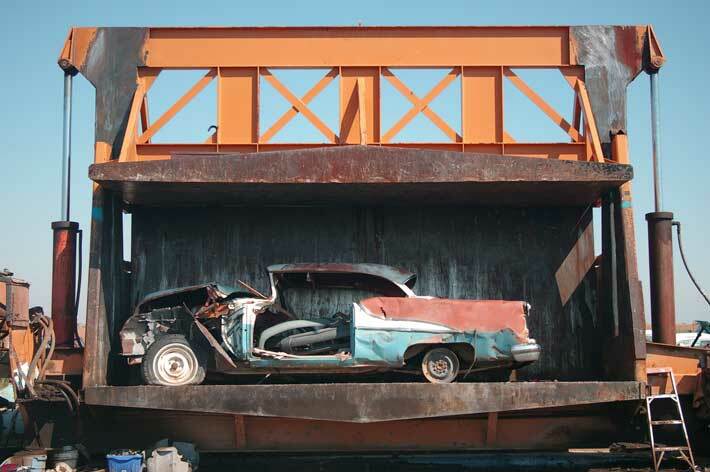 Many times we are in a bind when trying to decide if our car, truck, or SUV is in bad enough shape to go to the auto crusher (depicted above). We are frequently asked by customers whether their car is ready to see the junk yard or not. In many cases they had just spent money repairing of maintaining their vehicle, only to have break down again and again. Try doing “Cost to Benefit Analysis,” in short how much money is fixing it going to cost you! If you’re looking at investing $500 or more on a car that is only worth $300-$500. Then you should really reconsider fixing it. Also, consider how much more time will the repair buy you before its next major issue. Many people hold on to cars that have no business being out on the road and present a hazard to them and other around them. We highly suggest you dispose of any car that is not fit to be on the road. Considered trading it in. Car dealerships will sometime offer cash for clunkers and some of them actually do paid a good amount of money. If a dealership let’s you know that they can’t give you anything for your car but they can get rid of it for you, then you’re being swindled. Any car is worth at the bare minimum $100-$500! Make sure you’re not being misled by a sales men. 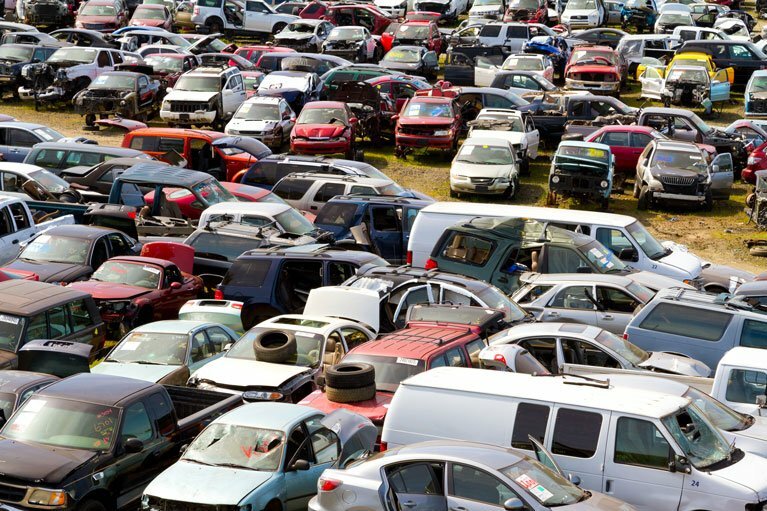 Check out our post on how to get the most cash for your junk car – Top 5 Tips For Selling A Junk Car. If you have a car that’s in good working order and need minor repairs, and don’t need the cash, maybe donating the vehicle is the right thing for you. Donating a vehicle is a great way to help people in need. Donating a car can also land you a tax write off. We have donated cars and equipment many times and it’s a great way to help, just make sure that the company that you’re donating the car to is a non-profit charity. We suggest the Goodwill. They schedule the pick-up at no cost to you. Lastly, if you prefer cold hard cash, we have you covered. We can typically pick up the car the day that you call us! We are locally owned and operated. That’s why we pay more than the other guys. Call us for an offer, and we suggest you call the other companies as well to make sure that you are getting the most for your car.